Make any drink a nitro drink at home. Kit includes 1 NitroBrew charging station, 1 NitroBrew kettle and 1 air compressor. Air is 80% nitrogen. We use air as the source with the NitroBrew systems. 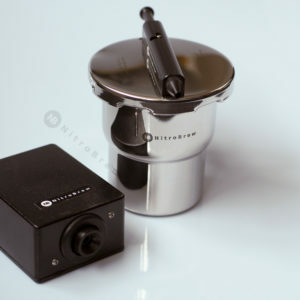 No need to hook up your NitroBrew to a nitrogen tank or worry about replacing cartridges!